“Float like a butterfly and sting like a bee”. This is a famous quote by Muhammad Ali. This phrase shows how Ali used imagery and words to create an emotional connection to the world. Muhammad Ali, a true legend and icon of sports passed away on June, 2016. However, he still lives on in our hearts! Ali was loved for his beloved wit and his toughness both in and outside of the ring. Ali was so many things to people, he showed that strength wasn’t always the key factor to achieving everything but intellect. He knocked out the mighty and the strong. Ali was not at all times stronger than his opponents, but he always gave them a fight to remember. It baffled everyone how Ali managed to scale through the toughest of fights. Ardent lovers of Muhammad Ali will never forget how he fought Sonny Liston on February, 26 1964. Ali had little chances against the veteran champion who spent the last 17 months before that fight terrorizing this opponents. But Ali shocked the world when he knocked out Liston in the seventh round. Ten years after Ali took down the fearsome Liston, the aging Ali travelled similar path — This time to the wilds of Zaire — to meet George Foreman who arrived with 37 wins, 34 knockouts, and two-round erasures of the only two men — Frazier and Ken Norton — who’d beaten Ali. His passive “Rope-a-dope” resistance gradually drained the strength of Foreman who was in fact more younger and agile than Ali. By the end of the eighth round, Foreman was out of gas and out of luck! Ali won! These are only two of Ali’s memorable fights. Ali not only understood the rules of the game, he understood the power of emotions. He didn’t just fight physically, he fought his opponents emotionally too. He played with the mental strength of his opponents and that’s why he always came out victorious. It was said that any time Ali walked into the ring, he would play his story to achieve his best emotional state. Ali always made sure he defeated his opponents mentally before or during the fight. He understood what being mentally strong is. He might not necessarily have the physically strength, but he had the mental strength. Life can be likened to this Muhammad Ali story. You necessarily don’t need to have the physical strength to face every challenge that life throws at you. Understanding the power of mental strength will help you melt every obstacle. We all will reach critical points in our lives where our mental toughness will be tested. It might be a toxic friend or colleague, a dead-end job or a struggling relationship. Whatever the challenge may be you have to know that only your physical strength can’t pull you through, you have to face the challenge from your mental strength. You have to see it through a new lens and know the best way to tackle the issue at hand. And in knowing how to tackle difficult issues there are things you should do and avoid. 2. Waste Time Feeling Sorry for Themselves. 4. Fear Taking Calculated Risks. 5. Waste Energy on Things They Can’t Control. Mentally strong people don’t complain (much) about bad traffic, lost luggage, or especially about other people , as they recognize that all of these factors are generally beyond their control. In a bad situation, they recognize that the one thing they can always control is their own response and attitude, and they use these attributes well. 8. Give Up After Failure. 9. Make the Same Mistakes Over and Over. We all know the definition of insanity, right? It’s when we take the same actions again and again while hoping for a different and better outcome than we’ve gotten before. 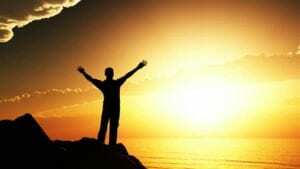 A mentally strong person accepts full responsibility for past behavior and is willing to learn from mistakes. Research shows that the ability to be self-reflective in an accurate and productive way is one of the greatest strengths of spectacularly successful executives and entrepreneurs. 10. Resent Other People’s Success. Whether it’s a workout plan, a nutritional regimen, or starting a business, mentally strong people are “in it for the long haul”. They know better than to expect immediate results. They apply their energy and time in measured doses and they celebrate each milestone and increment of success on the way. They have “staying power.” And they understand that genuine changes take time. 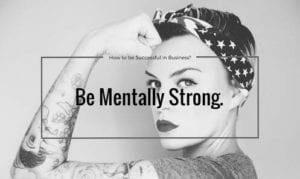 Do you have mental strength?